SKF NOTE: Piecing together for my History of Rock Drumming series the mystery that was Motown‘s drummers, I called Motown’s offices for help, and Brian Holland spoke with me! I didn’t ask to speak with Mr. Holland. I imagine the woman answering phones at Motown, after putting me on hold, announced, “There’s a guy on the phone from Modern Drummer magazine. He wants to talk with someone about Motown drummers. Anybody want to talk to him?” And Brian Holland was nice enough to come to the phone. This interview took place by phone on May 12, 1982. It’s important to me that readers understand how little information existed at this time on Motown‘s drummers. Their identities were not well-known. 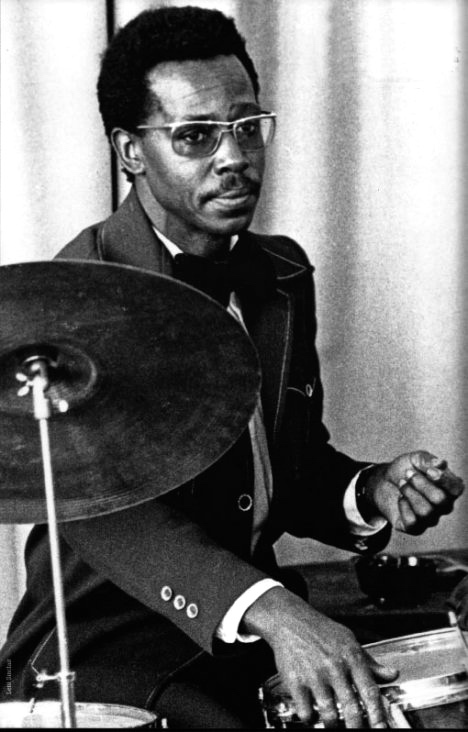 Once the principal drummers were known — Benny Benjamin, Uriel Jones, Richard “Pistol” Allen — there were no set records on who played on what song. That was, in part, because of Motown‘s way of recording — which Brian Holland talks about in this interview. But it was also, in part, because a number of drummers claimed to be the drummer on this Motown record or that. The story is, Motown recorded instrumental tracks in Los Angeles, New York, Chicago — sometimes with unknown singers. 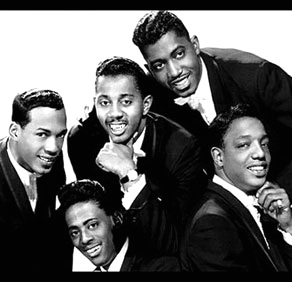 Those tracks, the story goes, were taken back to Detroit where Motown‘s hit maker vocal groups were added to the mix. I confess. In 1982 my prime goal was finding out about Motown‘s drummers. I struggled with verifying stories told to me by other drummers. Asking certain Motown people, “Hey, drummer X told me Motown was involved in illegal recording practices. Is that true?” Questions like that risked ending the interview, and ending a great opportunity to learn about Motown‘s drummers. I don’t know if any of this info is now old news. Brian Holland was gracious enough to allow me to interview him. I appreciate it. Brian Holland: There wasn’t about but three main drummers that we used. Benny Benjamin — who was probably the most frequently used on most of those songs — and a guy by the name of Pistol [Richard Pistol Allen] was another one who was very much used. But he was more of a shuffle kind of a drummer. He was the best at the shuffles. Benny Benjamin was the best at the 4/4 and the 2/4 beat. And we used a couple more, but those are the premier drummers that we used back then. Scott K Fish: Do you know anything about Benny’s background as a musician? BH: I don’t know too much about his background. I know he used to play with a lot of big bands before he got with Motown. When he started with Motown we kept him on as a studio musician. That’s all I knew. Because I was so young at that time. SKF: Michael Carvin told me that Motown would just record the rhythm section, and those musicians would never know what songs they were playing on. BH: That’s what we did 98-percent of the time. We’d go in and record just the track — maybe four or five pieces at most — and then go back and dub lead and the group in. Then you dub the strings in — maybe for the group and maybe not. But we did do the rhythm track first back then. Basically that’s what they do now. But we were doing that then. That was unusual at the time because, generally, then everybody would be in the booth somewhere, or off in the middle of the floor singing, as you cut the track. They had no idea what songs they were going to be playing on. No, no. They never knew what the songs was they were going to be playing on at all. SKF: Did the producers and arrangers know? BH: Oh sure. We always knew. Very infrequently they would go down there and just try to come up with a song. Those were very infrequent things. Generally, we got an arranger, and then got the musicians, and went down and cut. But the musicians would never know. They’d be the last to know. SKF: Was Benny Benjamin reading charts? BH: Oh no. He could read music. You’d have, basically, no what we’d call right now the real drum chart, per se. More or less just a rhythm type of chart. Then the producer would basically tell him what he wanted. Sometimes they’d write out a few drum parts — like on a few breaks or things like that. But mainly they felt their way through most of that stuff. SKF: Were they the same drummers that would go out on the road with the different Motown acts? BH: Sometimes they would go out on the road! That’s right. That’s when the other three or four percent…. When we’d have to call in, maybe, someone else. They were fantastic. Believe me. We never really realized how great those guys were back then. But, looking back, in retrospect, it was really amazing and phenomenal how that stuff came out. SKF: How did you find Benny Benjamin? BH: I think Berry Gordy knew Benny or heard about Benny from some big bands back then. Because he used to work a lot of people before Motown got started anyway. I think that’s how we came about with Benny. He was a great drummer. The timing he had was…. I mean, I could play some things back now and listen to those pickups, and the timing that he had was just unbeatable. I mean really unbeatable. I’m not saying that because he played with us back in those Motown days. I’m saying that because he had such great timing and with pickups. And he always felt the music as he went along. He would hum the music as he would go along, singing, just as happy as he could be, right along with the music. And he would always say, “Man, that’s a hit. That’s a hit.” And most of the time he was right. I could tell you damn near which cuts Benny played on. If you gave me a list of them. It’s hard for me to think. I still remember basically all those things. I know Benny did My Girl because I cut all those sessions back then myself. 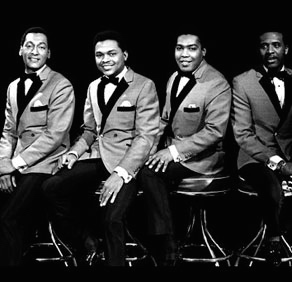 And the Four Tops and The Supremes — mainly he played on all of them. On the shuffle things, like Heat Wave, I know Pistol played on that. He might have played on Baby Love by the Supremes. But Benny had to play at least 75-percent of them. SKF: I’ve heard that when Junior Walker recorded he used Benny. BH: Yeah, he would use Benny too. SKF: So all those tunes like Shotgun — that’s Benny? BH: That’s right. He was a great one, man. I’m telling you. SKF: Did those guys play with click tracks? BH: Oh, no, no. We never heard of a click track. There was no such thing back then. Every now and then we would try to use a metronome, but that would never work. Now they put it right through the earphones. But we tried to put a metronome right out in the studio and let them listen to it. But it could never work that way because the music would just filter it out. SKF: Why do you think click tracks are used so much now? BH: I think basically because a lot of the musicians don’t have that kind of timing. Most of them guys race or slow it down. They’re just not that steady. Don’t get me wrong. There are some great musicians out here that can do it. I think the competition and competitiveness has brought in so many musicians now that you just still have a few at the top. Which goes the same about most things. Back then there was just a few guys around. And always we found the best ones. And that’s the reason we had those few top guys. And that’s the reason we just mainly used those two guys or three guys. They were straight and they knew how to keep the time and the tempo right. Pistol came in after Benny. I think Mickey Stevenson — who was A&R man at the time — got Pistol to come in. Pistol was a good shuffle man, and I think Mickey wanted him to play a few shuffle/big band beats. Pistol used to play at a local bar called the 20 Grand — which was a very popular bar with the trio there. SKF: Do you remember when Benny stopped recording or when he died? BH: Well, he didn’t stop recording. He died. Somewhere around ’68 or ’69. SKF: Were you able to replace him? BH: Well, they brought in a young guy. I can’t think of his name. He was pretty good. But there’s no Benny. There’s no Benny Benjamin around. 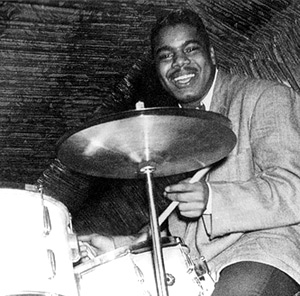 SKF: Do you think the drummers played a major part in the creation of Motown music? BH: A very premier and emotional part too. I always say emotional because a couple of those guys — like Benny and Pistol — always was emotionally into it. Not like a mechanical guy just up there playing drums: “Okay. Give me a chart. I’ll play.” They was emotionally into the song. They got into it, where they really emotionally felt what you were doing. And they got into it. They were unique. I mean, these guys today just want to get a paycheck. It’s almost like the guy was saying on t.v. He said, “Is there anymore great baseball players?” No! He said, really there aren’t anymore really great baseball players. You can’t find no Joe DiMaggio no more. No Jackie Robinson’s. No Babe Ruth’s no more. All these guys out there want to hit the ball for big paychecks. They’re not really in the game of baseball like them guys were back then. And I can understand that and I can relate to what he was saying. The same thing goes for these musicians back then. Even, like, the producers. Like a Phil Spector, man. You don’t find them kind of producers who, night and day, get into it. They’re just not the same. Believe me. SKF: I’ve heard that in the early ’60s, besides recording in Detroit, Motown was using musicians in New York and Los Angeles. BH: Well, very, very infrequent. 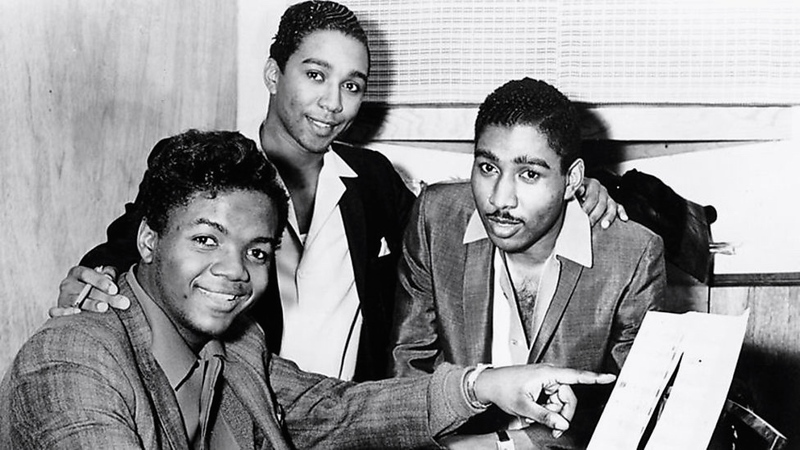 Once in a awhile my music partner, Lamont Dozier, we would come out to cut a session. Most of those things were basically mechanical type things. We might have got a hit once or twice out of it, but we stayed in Detroit because they didn’t have the same kind of feeling back then like they did in Detroit. New York was pretty good. But we did a few things in both places. True enough. It was almost like I’d say, “Hey, let’s go on a vacation. And while we’re on vacation let’s cut a few things.” That’s basically what it was. This entry was posted in Backgrounder Interviews, SKF Blog and tagged Benny Benjamin, Brian Holland, Drummer, Modern Drummer, Motown, Pistol Allen, Scott K Fish. Bookmark the permalink.